It's been awhile since I've regularly blogged. Life crept in and we took on some new projects (chiefly, opening up a store in our hometown) and something had to give. That something was blogging. And reading too, to a great extent. I have missed it. I process so much life through and by writing things down and I've missed having the time to be able to document my thoughts and jot things out for myself, let alone for anyone else who might benefit from my bookish thoughts on the side. I really can't say what 2018 holds (who can?) and I don't know if I'll get to blog very much at all. But I do know that I'd like to try. Someone left a comment for me on last year's L.M. Montgomery Reading Challenge post asking if I was going to host for 2018. I love that people care enough about L.M.M. to want to see this happen. If only for the one, I'll keep this reading challenge going. Although I didn't blog very much (or read very much) in 2017, what I did read and live and breathe for the majority of the year was L.M. Montgomery and her books because dreams do come true: our family took several weeks of vacation on Prince Edward Island this past fall. (I'd like to share some pictures soon so fingers crossed that I'll manage a pictorial post!) In prep for our trip, the kids and I read a lot of Lucy Maud Montgomery. We finished watching the entire Road to Avonlea series as well! (That was a lot of fun.) (Has anyone else missed my side thought parenthesis, by the way?) Due to the fact that I invested much of my reading time in Montgomery books last year, I'm not feeling overly pressed to read too much of her this year as part of this year's reading challenge. I have a bit of a hankering to re-read A Tangled Web for myself, and the kids and I will read some picture books about Montgomery, but as we've been living and breathing her lately I think it's time for us to take a little break and move on to some other authors. That said, I wanted to share a few books of note that I purchased when on the Island, today's book being one of them. I had not heard of Remembering Lucy Maud Montgomery before our trip but found it sitting on a shelf in a bookshop in downtown Charlottetown. It was patiently waiting for me and I eagerly snatched it up! Alexandra Heilbron gave the world a gift in this book in that she gave us the personal impressions of people who had personal relationships/interactions with Montgomery during her lifetime. Not every person recorded had a great story to share, mind you. School girls who admired Montgomery and were once granted an interview shared their impressions and those are so-so. Don't get me wrong, it's interesting to hear from someone who actually swapped words with my favorite authoress but the more interesting recollections were from maids who worked for the Montgomery family or from her nieces who lived at Park Corner. Some people's stories were long and others short. I won't share any here but will make you read the book to learn for yourself what people said of this famous Islander. While I can appreciate all of the literary scholars' interpretations of Montgomery's life, I rather thoroughly enjoyed the simple reflections of the "regular Joe" who had some sort of normal, run-of-the-mill story about Montgomery and her day-to-day life. The individual stories recorded in this book made me to feel like I understood Montgomery and her personality almost better than any other work has ever done. It's not that I want to discount the work of the amazing men and women who have worked tirelessly to safeguard Montgomery's works and artifacts from her life! Not in the least! Everyone who loves Maud can contribute something when it comes to carrying on her legacy. But Heilbron hit on something fairly unique and I was just absolutely delighted to have found this book and to have had the chance to read it. 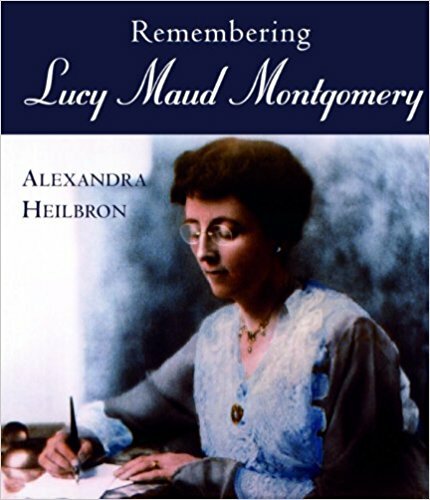 The Amazon paperback price for Remembering Lucy Maud Montgomery is a bit steep, true, but the Kindle price is decent and reasonable. If you're looking for a bargain, check your library or purchase for the Kindle. I, for one, am glad to have this for reference and perusal. It's a treasure and if you can find a copy I highly recommend you give it a read! I can't think but that you'll be glad you did. Thank you, Alexandra Heilbron, for taking the time to collect these stories for all present and future Montgomery fans. It is greatly appreciated! This looks like a delightful read. Will keep it in mind!